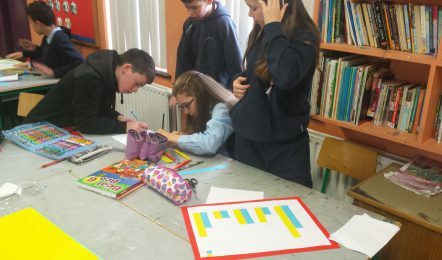 From 12th – 16th October all our pupils participated in a range of activities for National Maths Week. All pupils made a special effort during maths all week. Based on these efforts one pupil from each class was chosen as Mathlete of the Week. Well done to Riain Healy, Salman Khan, Eoghan Conroy, Hayden Naughton, Evan Doyle, Cassie Gately, Jonathon Dowd, Éabha McArdle and Sara Mrozek who were our Mathletes of the Week. 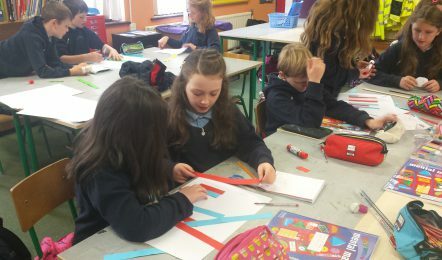 On Friday 3rd and 4th class took part in a maths trail around the school grounds. They went ‘out and about’ in search of 2D shapes in our school surroundings. 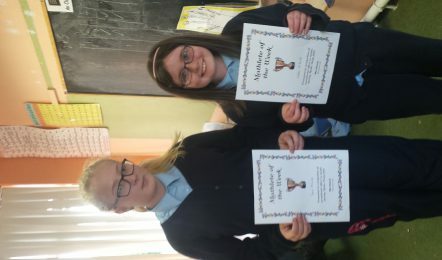 5th and 6th class competed in a Maths Table Quiz on Friday. They also conducted surveys in the other classes and constructed multiple bar charts illustrating their results in groups. We also held a ‘Guess How Many Sweets Are In The Jar’ competition, which proved to be one of the star attractions of Maths Week. We had some wide ranging guesses from the students. Well done to Cathal Bury in Ms Flaherty’s class who was the only pupil in the school to guess correctly.